France's TGV (Trains à Grande Vitesse: High-Speed Trains) are your most comfortable connection among major cities in France. The alternative is usually a somewhat slower but cheaper Intercités train. 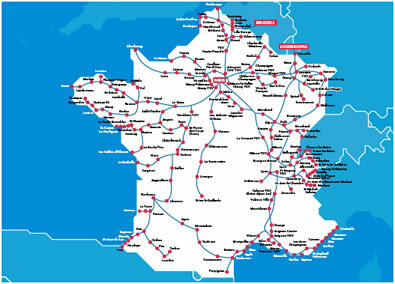 Trains à Grande Vitesse (High-Speed Trains, pronounced TEH-zheh-VEH), operated by SNCF, zoom among France's major cities and connect with other European high-speed rail networks to speed you among Europe's great cities. In September 2018, SNCF introduced TGV inOui, a higher level of service on TGV trains contrasted to the lower-cost Ouigo brand. 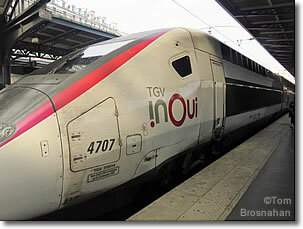 TGV inOui trains are faster, more comfortable, with more services than Ouigo or even traditional TGVs. Seats are roomier, the Wifi and toilets are better, and services such as luggage porters and taxi reservations are available. Business Première class is even more comfortable. 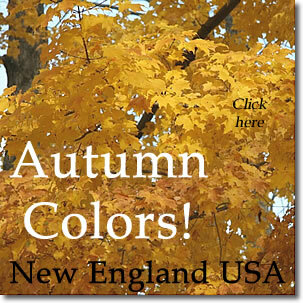 Fares are higher, but you get more, and if you reserve well in advance, fares can provide excellent value for money. TGV is our preferred method of travel in France. The trains are comfortable, surprisingly quiet, admirably swift, and non-smoking, regularly reaching speeds of 320 km/h (200 mph) at some points on some lines, and thus competing with flights in terms of door-to-door travel time. Considered the fastest train system in the world, the TGV speed record, set in 2007, was 574.8 km/h (357.2 mph). — Departure and arrival are usually from the city center or nearby (closer than most airports are to city centers). — All seats are reserved on TGV trains, both in 1st class and 2nd class. — Weather is not as much a factor with trains as it is with planes. — Security procedures are far less onerous for trains than for flights. — Although there are supposedly baggage limits, they are only loosely enforced. If you can carry it, you can probably take it on board with you. — Many TGV trains haul café cars providing drinks, snacks and light meals. With TGV inOui service, you can even order from your seat and have meals delivered to you there. — Each TGV car/wagon has baggage racks at both ends, but this space is limited and often fills completely with large items. It's good to board early so as to claim space for heavy suitcases. Small items can be stored in the overhead rack above your seat. — At points of origin, TGV train tracks (voie) are announced, and trains are available for boarding up to 20 minutes before scheduled departure time. You must be on board at least 5 minutes before departure, otherwise you may be denied boarding. TGV inOui locomotive at Gare de l'Est, Paris.